How many villagers will admit that they were fans of televised wrestling at some point in their life? I admit that I was a big fan of the World Wrestling Federation (WWF) back in the day. My favorite wrestler was The Undertaker. However, I also enjoyed the antics of Ravishing Rick Rude and and Randy 'Macho Man' Savage. 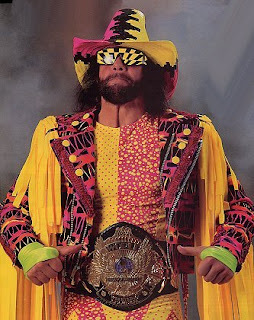 That is why I was very sad to learn that the Randy Savage died on this day in 2011 from a car accident. It appears that he suffered a heart attack while he was behind the wheel ... and lost control of his vehicle. He was killed as a result of his injuries. His wife, Lynn, was rushed to a local hospital and she appears to have suffered only minor injuries. 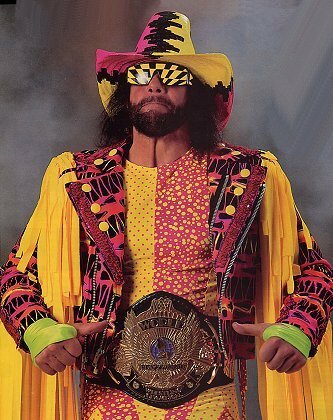 Rest in Peace Macho Man! awwww. THats so sad. I am going to miss those old slim jim commercials. awww randy not you. **sigh** lets just be happy he doesnt have to be alive suffering from his injuries.